Patients with low back and leg pain associated with spinal stenosis in the lumbar region are candidates for lumbar laminectomy. Patents usually describe severe burning pain associated with weakness or numbness down the legs when walking which is relieved by rest. 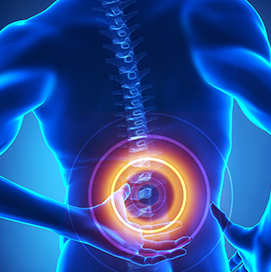 Spinal stenosis is a degenerative condition of aging that causes an hour glass like constriction around the nerves in the lumbar or cervical spine. A lumbar laminectomy consists of removing the constriction around the nerves by carefully microscopically removing bone and ligament off the nerves. A minimally invasive hemi-laminectomy is performed for unilateral leg pain and a more extensive laminectomy is performed for bi-lateral leg pain. This usually can be done on an outpatient basis in an Ambulatory Surgery Center.